That’s a great pizza place! The food looks delicious we do not have that restaurant here but I am always up for a trip if it’s for food LOL. I will have to go there at some point and check out their food. Poncho Pizza is to die for! I mean I think I just licked the screen! YUMMY. I am going to have to give this a try. You had me at pizza. All that cheese looks so delicious. Can’t wait to try a piece..or three! Pizza is a meal that we all eat and this place looks like a real go to for pizza. I don’t think this is near me but I wish it was. I am in love with pizza (who isn’t?). The pizza here looks so delicious and artisan. I would love to eat here one day. Yum, I would love it here. I am a huge fan of pizza and eat it often. This pizza looks fantastic! That second pizza in the post looks like my kind of pizza! I could go for a piece right now. I’m a huge pizza fan. I’ve never tried Pizza Pocholo before though. Everything looks so yummy, can’t wait to give them a try. This pizza looks delicious! I would love to try it. 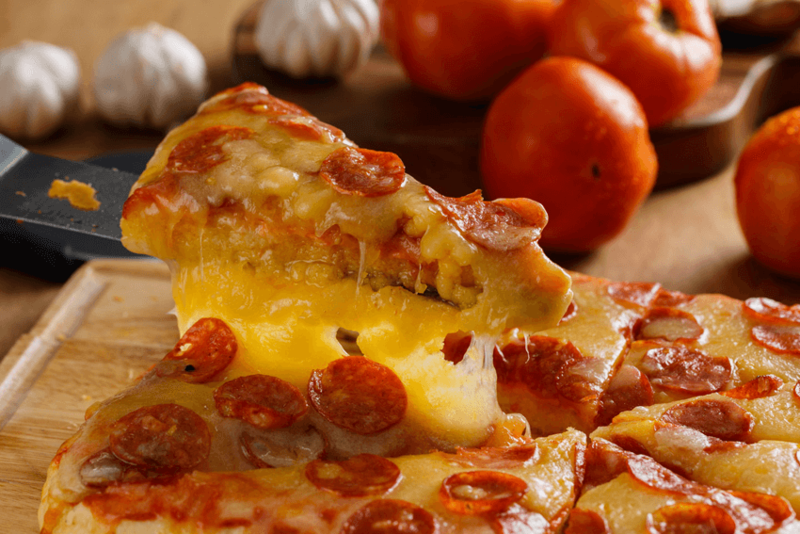 The crust is so thick and the cheese is really stretchy. Oh wow that looks delicious. I have a soft spot for pizza. Yum! Oh yeah, I’d go here! I adore pizza in all forms. Have you had a St. Louis pizza? They use a cheese called provel. It’s the only pizza I am not fond of! I absolutely love pizza. All of these pizza flavors sound really unique and really tasty too. These pizzas look so good! I wish they were available in the US! YUM! This is the kind of pizza that I love. The mushroom is a great ingredient. Another thing that I like is pineapple in pizza. I’ve never heard of this place, but the pizza looks incredible! 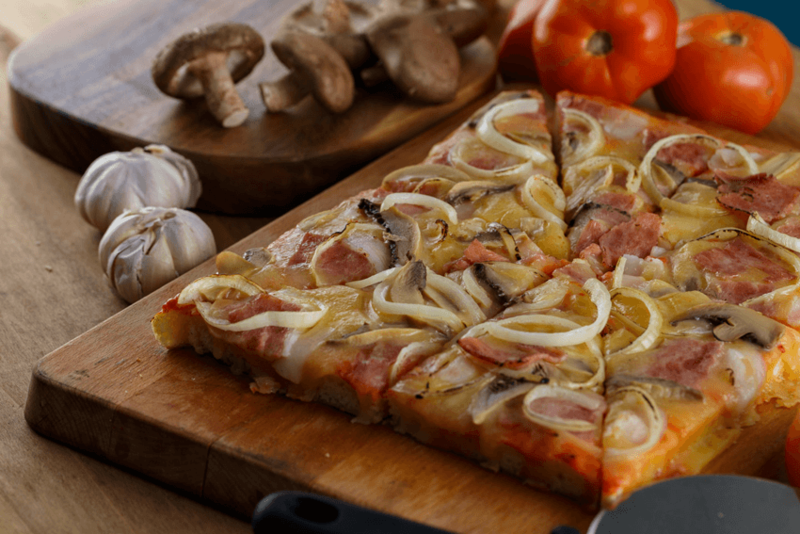 I love mushrooms on my pizza, and that one with the mushrooms and onions looks amazing. I wish this was near me! Wow! This looks really yummy. I wish we had them here. I love pizza. That pizza looks Delicious! Typically I only like Pepperoni on mine, but that onion one looks heavenly!